Our Disneyland Itinerary is a touring plan to what attractions, shows, and dining we’d do in one day at the park. This itinerary is our efficient way to experience all of the, what we consider, Disneyland essentials. 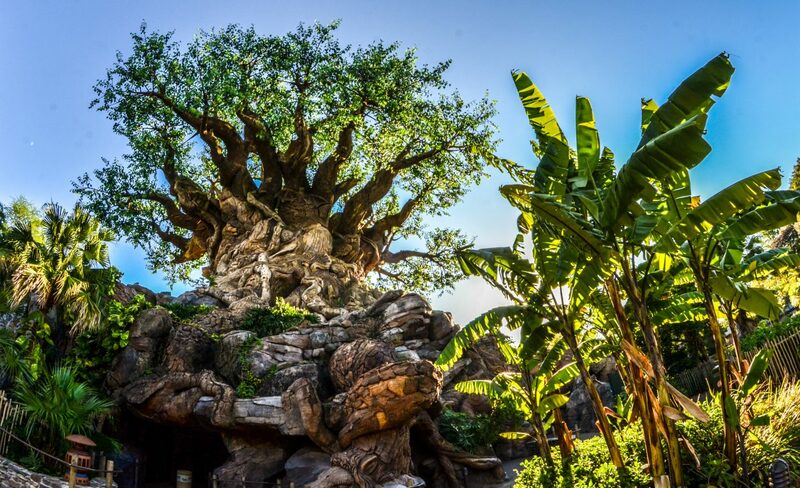 With our recent Disneyland Resort Trip Planning Guide, as well as upcoming guides to Disney World and Tokyo Disney Resort, this seems like an opportune time to add in a series of itineraries for each park we’ve been to, this being the first. What this series won’t do is give a plan to experience every single attraction in one day at the park. While we do think rides are one of the most important aspects of Disneyland, our ideal day there isn’t rushing around to every attraction. We do have all of the attractions ranked, as well as ratings for shows and counter-service and table-service restaurants, so if you are simply looking for the best things to do those lists may be a good place to start. Where this post will differ from those is the itinerary will include an efficient plan as well as time for exploring the park. There are many different factors that go into a theme park day, so we do have to keep this somewhat general. I don’t know how busy the park will be when you visit, whether you purchased MaxPass, where you are staying, etc. What I do assume in this itinerary is that you are spending the full day inside of the park, getting there before the gates open and leaving after the park closes. To do this, I would recommend staying as close as possible whether that be at Disneyland Hotel, Grand Californian or a cheaper one across the street on Harbor Blvd. Come May 31st, 2019 the touring plan at Disneyland will look entirely different thanks to the opening of Star Wars: Galaxy’s Edge. While we haven’t adjusted the full plan yet, we’re giving you a head’s up that to experience the land in the first month (May 31-June 23, at least) you will need to make a reservation ahead of time online. Those staying at a Disneyland hotel will automatically get these reservations while others will have to do so on the official website. Having said that, Disney has not started this process yet. We will update the several posts, including this one, once the reservation system is in place and more details have been released. With only a day at the park, it’s essential to get to Disneyland early. If you have more days then it’s not quite as important, but Disneyland earlier in the morning are prime hours for attractions and beautiful morning light. Twenty or thirty minutes early would be better, as you’ll be ahead of some people in line but it’s not essential. Depending on your ticket, you may have early entry to the park and I recommend using that if you do! As for breakfast, we recommend eating before you go in the parks as the breakfast offerings aren’t great (outside of one or two) once inside and it would be a waste of valuable time. We generally pack a few snacks but other quality options are Tangaroa Terrace, Steakhouse 55 if you want something nicer, and there’s a McDonald’s and a few other quick places on Harbor Blvd. Upon opening, head straight to Space Mountain in Tomorrowland (if you are in a group, just send one person with all of the tickets while the rest head to Fantasyland) and get a FastPass. After getting the FastPass go to Fantasyland and immediately get in line for Peter Pan’s Flight. This attraction doesn’t have FastPass and is one of the most popular in the whole park. In fact, this is so popular that it might be worth going straight to the attraction instead of FastPassing Space Mountain. After riding Peter Pan there should be time for a few more attractions in Fantasyland. 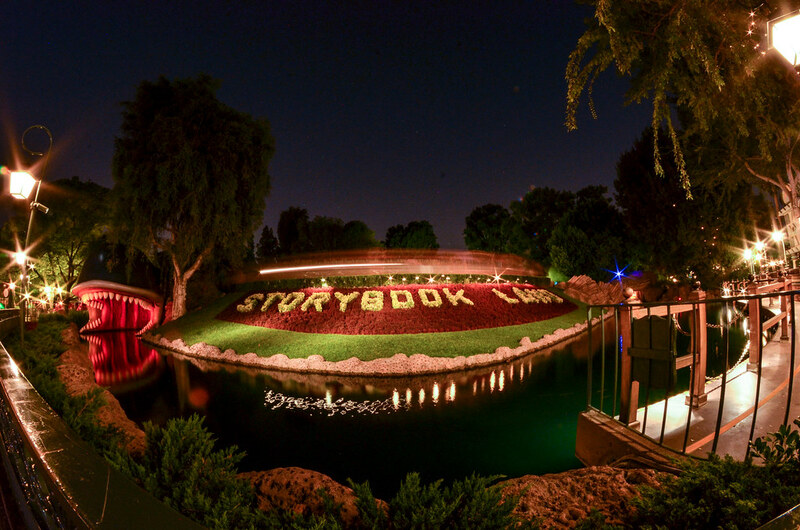 We highly recommend Mr. Toad’s Wild Ride, Alice in Wonderland and the Storybook Land Canal Boats. Depending on the park closing time, we recommend coming back right before closing so you should have time later to finish what you started. On the way out of the land, as you head to Space Mountain, get a FastPass for Matterhorn Bobsleds if your time window is open. By this time it should be time to utilize the Space Mountain FastPass, which I would use towards the end of the window so you have more time in Fantasyland. Depending on the time of year, Space Mountain may have an overlay but is an excellent indoor roller coaster anyway. 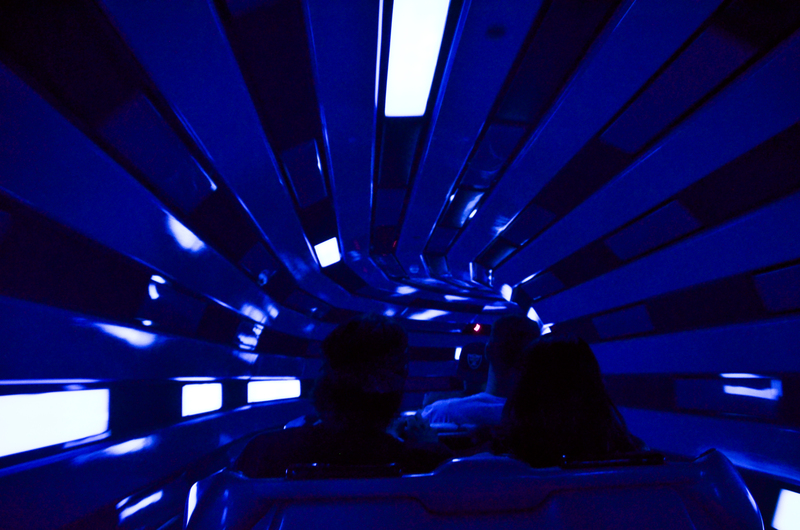 After your ride through space, check out the lines for Star Tours, Buzz Lightyear Astro Blasters, and Finding Nemo Submarines. We like all of those attractions, in that order, but probably wouldn’t ride any of them if the wait was over 20 or 30 minutes. Star Tours does have a FastPass option but your window likely isn’t open at this point and it’s not a great use of a FastPass anyway. 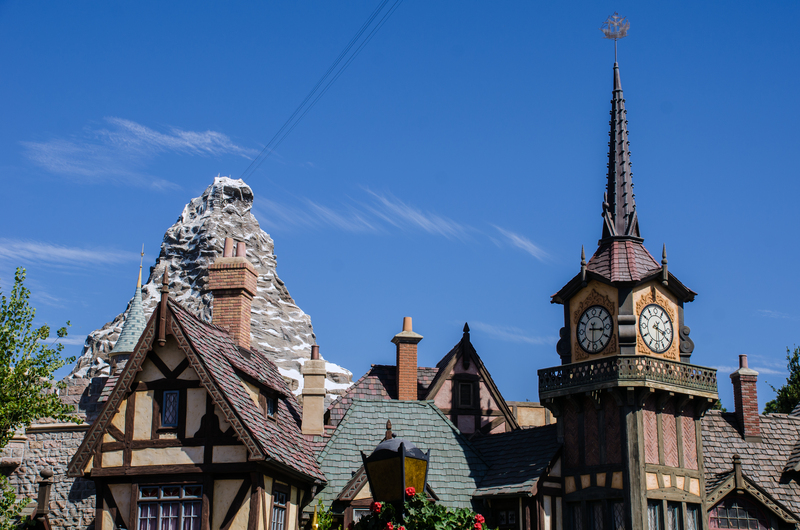 Spend enough time in Tomorrowland that you can use your Matterhorn FastPass on the way to the other side of the park. If for some reason you have extra time, Small World should have a relatively low wait time as well as some other Fantasyland attractions. After riding the Matterhorn it’s time for a snack on Main Street before heading over to the other side of the park. If you are looking for a sweet treat the Jolly Holiday Bakery has the delicious Raspberry Rose Mickey Macaron or Matterhorn Macaroon. I prefer the raspberry option but it isn’t as good of a value. For the brave souls that can stomach a corn dog before noon, this is an opportune time to enjoy the incredible Little Red Wagon. This itinerary requires a lot of eating, just so you know. 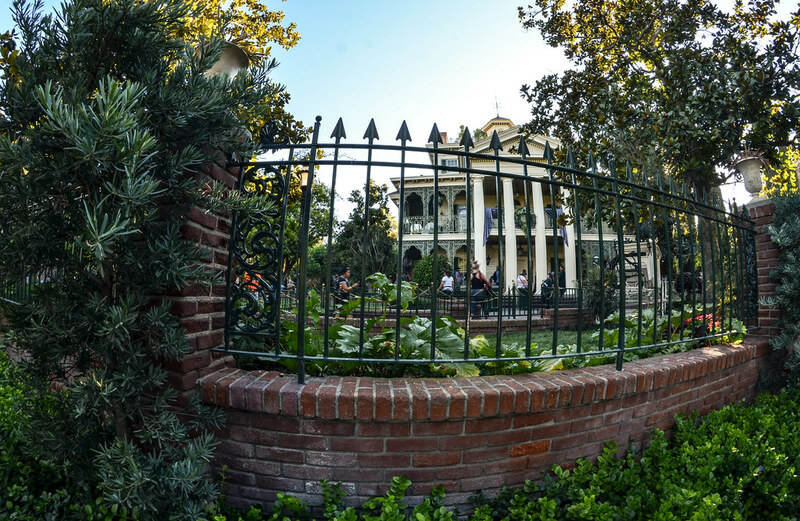 After your snack, get a FastPass for Indiana Jones Adventure and head to New Orleans Square. Along the way, if the Jungle Cruise wait is under 20 minutes then go for it! Upon reaching New Orleans Square get a FastPass for Fantasmic! that night (this won’t take away from your attraction FastPasses) and then ride both Haunted Mansion and Pirates of the Caribbean. These are both must-do’s but shouldn’t have very big lines due to their high capacities. Even if the lines have gotten somewhat long, they should move quickly. After this, riding Splash Mountain via the single-rider line is a good option if you are open to doing this. If not, opt for later that night. Depending on when your Indy FastPass is available, you’ll be doing that either before or after lunch. No matter what, it won’t be far away from lunch. We recommend Cafe Orleans, as eating out by the river wonderful. 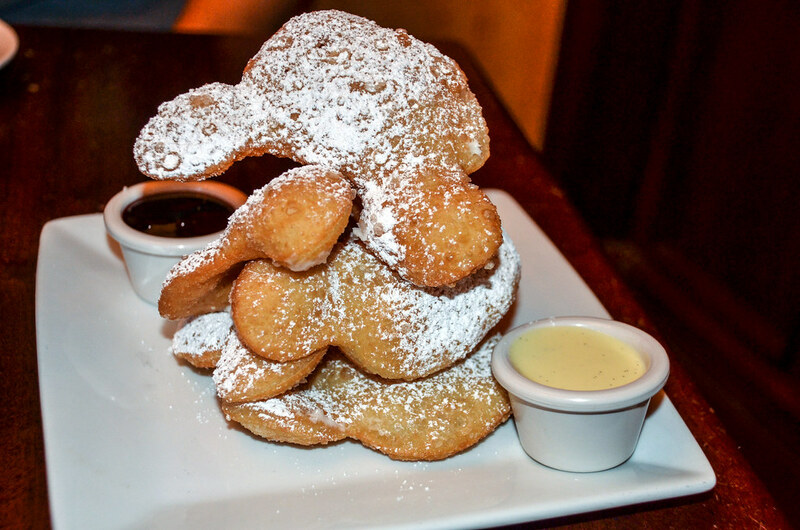 Start with the Pommes Frites, share a Monte Cristo and then finish with the delicious Mickey Beignets. If you want a (slightly) cheaper option then we recommend Rancho del Zocalo or the French Market for a counter-service option. 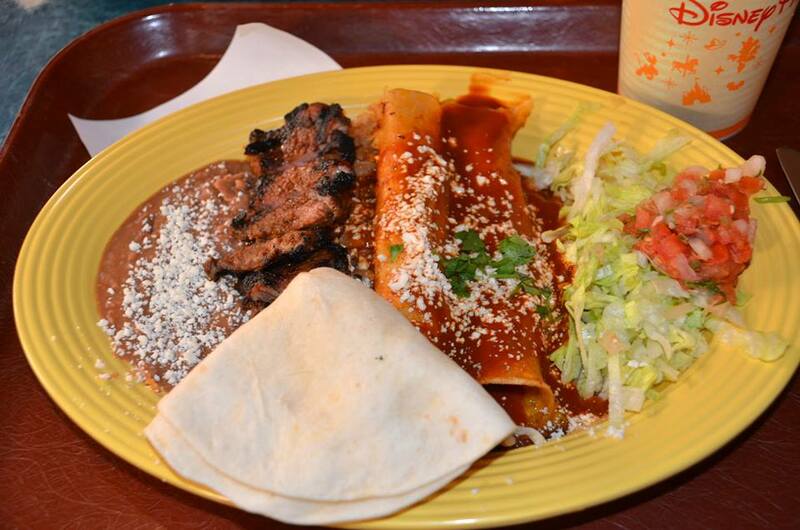 Rancho del Zocalo serves Mexican food while French Market is Creole inspired. There’s also the corn dog option or a classic Disneyland chimichanga but we prefer going some place to relax and sit down for a while. After lunch, continue the FastPass tour of the park by getting one for Big Thunder Mountain Railroad. After that head back to Fantasyland for a ride on it’s a small world. To complete all of the lands in Disneyland, make your way over to Toontown and check on Roger Rabbit’s wait time. If it’s more than 25 minutes, I recommend skipping this one but others like it far more than I do. Exploring Toontown for a few minutes, with the visual gags is probably worth it even though it is easily the worst land in the park. On the way back from Toontown check the wait times on any Fantasyland attractions that you skipped earlier, as well as Mad Tea Party and Snow White’s Scary Adventure. At this point, it’s time to wind down a little bit. The whole day has been on the go, aside from lunch, and it’s time to sit and get out of the heat. We’ll start this journey at the front of the park with Great Moments with Mr. Lincoln, a classic attraction full of Disney history. After this, walk over to Adventureland for another classic, Walt Disney’s Enchanted Tiki Room. Grab a Dole Whip while you wait for the show to start and then enjoy birds singing those sweet and catchy melodies. 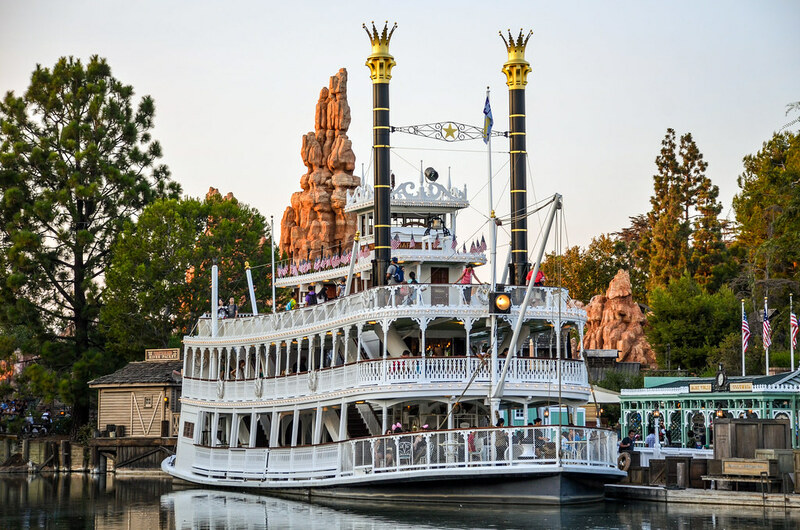 After the Tiki Room, head over to the Rivers of America and take the Mark Twain Riverboat for a loop around the river. While you’ll be outside in the sun, the riverboat is a little cooler being on the water. Find a nice place to sit walk around the boat taking photos. After a loop around the river, walk along the river front over to the train station. It’s possible that your Big Thunder Mountain Railroad FastPass is available. If so, use it, if not then hop on the Disneyland Railroad and do a full loop. Riding Many Adventures of Winnie the Pooh is an option here but isn’t essential. If you did use the Big Thunder FastPass then ride the train to Main Street instead of doing a full loop. Once you have completed your ride on the train and/or Big Thunder Mountain then it’s time for dinner (unless you choose to do the next step first). 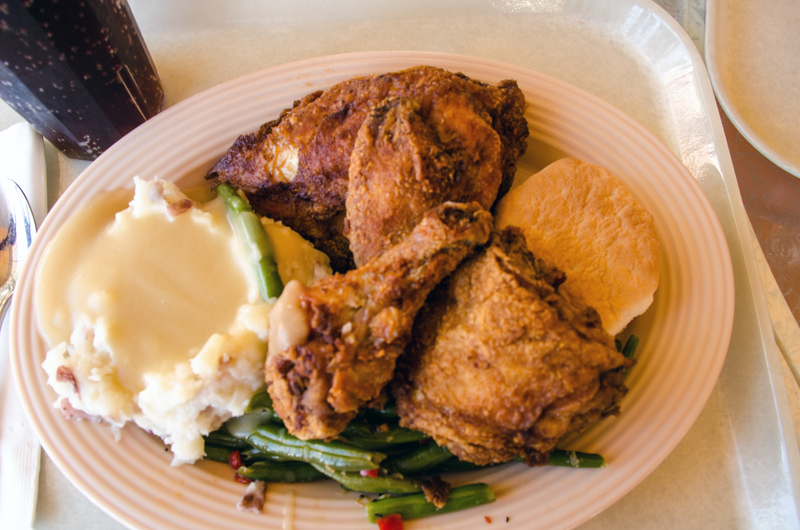 Our pick for dinner would be Plaza Inn on Main Street for some delicious fried chicken. This is a counter-service restaurant that serves comfort food. If you don’t like fried chicken for some reason but still want a counter-service meal then choose whichever you didn’t for lunch, French Market or Rancho del Zocalo. If you want a fancier meal and a quintessential Disneyland experience then Blue Bayou is a good option. Located inside of Pirates of the Caribbean, this restaurant has one of the best atmospheres Disney has ever created. Frankly, we think the prices are too high for some average food so we don’t necessarily recommend this option. Having said that, I do think it is worth trying at least once. This and the previous step can be swapped, especially depending on the time of year. Some attractions are better to ride once the sun goes down. Among those are Big Thunder Mountain Railroad, Splash Mountain, Jungle Cruise and the Matterhorn. Granted, you probably won’t have time for all of those in this time slot but that’s why we have some earlier in the itinerary. Pick and choose which ones you want to do most here and there may be time for some other attractions after the nighttime spectaculars. Keep knocking off attractions with FastPass too, if there are any available. The other aspect of this section is making sure you have time to hang out in New Orleans Square around sunset and after. Live jazz music will be played near French Market and this is a perfect place to relax and watch as the energy shifts with the lighting. Wander through the alley in New Orleans Square and walk by the river for a few peaceful moments. This one is pretty self-explanatory. Go see the fireworks on Main Street and Fantasmic! on the river. Depending on the time of your FastPass for Fantasmic! this can be a bit of a rush. We absolutely recommend doing both though. If you would rather only do one of the shows then we’d probably choose Fantasmic! 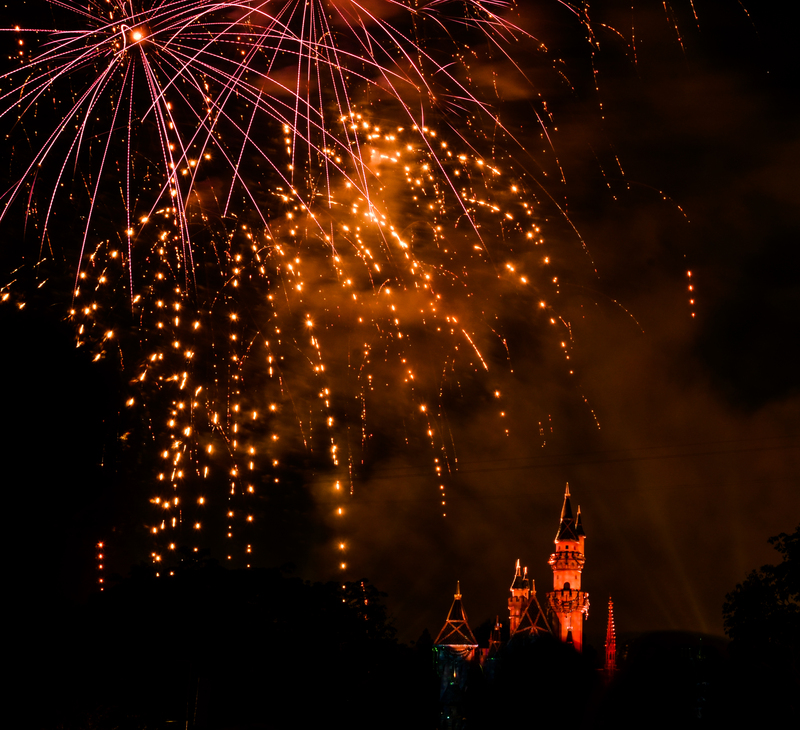 Disneyland firework shows rotate fairly often but if Remember… Dreams Come True is showing while you are at the park then you can’t go wrong there. After the nighttime spectaculars are over there should be an hour or so left before park closing. Use this time to fill in what you haven’t already done or just to explore. 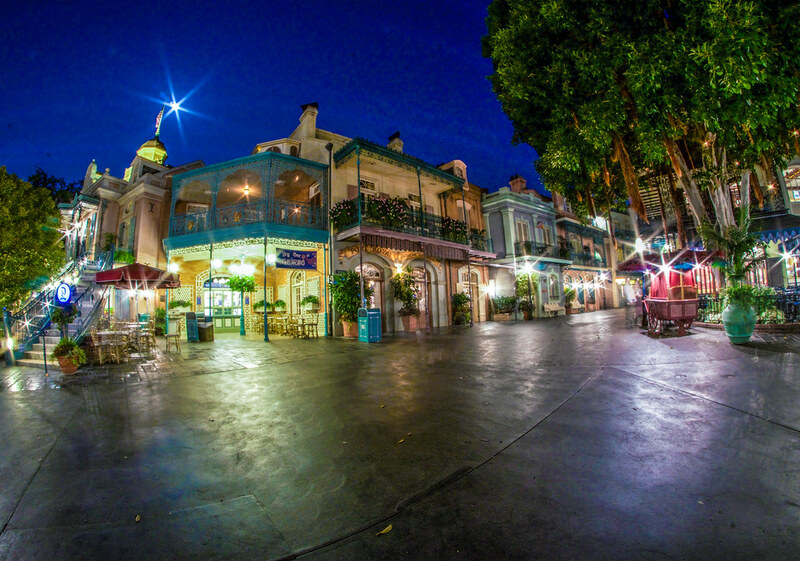 This is another excellent time to do New Orleans Square, or complete Fantasyland attractions. If you enjoy taking photos, this is a prime time to do it as the park has emptied out some and the nighttime lighting is spectacular in certain areas. Closing time at Disneyland simply means that guests can’t get in line for another attraction after that time. The shops on Main Street will stay open for an hour after close, and security won’t rush guests out of other lands right away. While I don’t encourage lingering and pushing the limits, you will have a few minutes to take photos before being corralled to Main Street and the hub in front of the castle. If you want to get some souvenirs, this is the time to do it so that it wouldn’t take up valuable park time earlier in the day. More than anything, use this peaceful time to enjoy the park. Some of my favorite memories at Disney Parks are wandering through the empty streets and enjoying the details of the park. My favorite areas for this in Disneyland are Frontierland, New Orleans Square and Fantasyland. 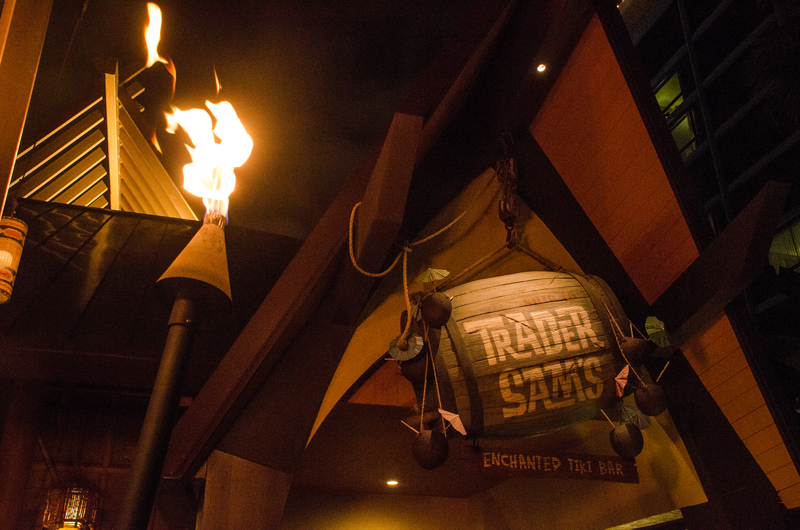 If there is any energy left, walk over to the Disneyland Hotel and enjoy a nightcap at Trader Sam’s. We love this place, even though we aren’t big drinkers, because of the crazy amount of fun here and all of the details inside the bar. There are plenty of good food options here, as well, if you aren’t stuffed from this plan. Obviously, this step won’t be for everyone but this is one of the better places for adults to go in Disneyland Resort. Completing this whole itinerary is a tall task. Even with missing a few steps, this will lead to an excellent day at Disneyland. I know this isn’t always an option, but we do recommend two full days at Disneyland and one at California Adventure. 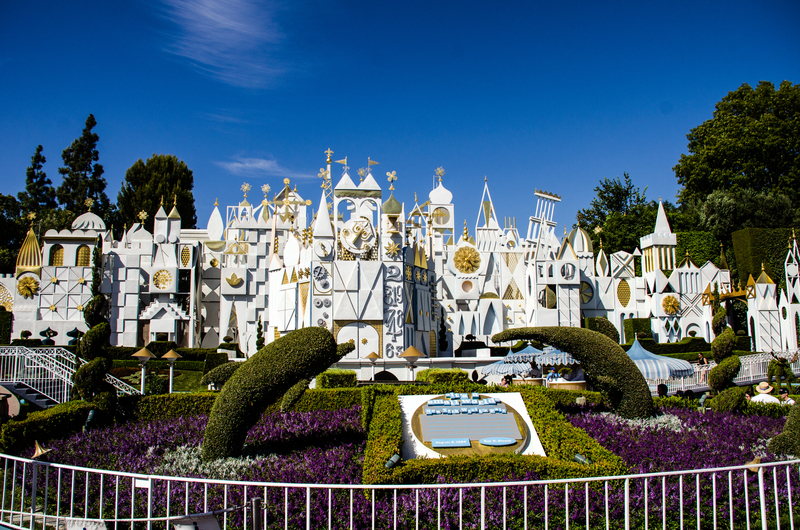 Even if you are able to be at Disneyland for two days, then following this itinerary the first day and then filling in the cracks, repeating favorites and adding in other attractions on the second day will lead to a great trip. 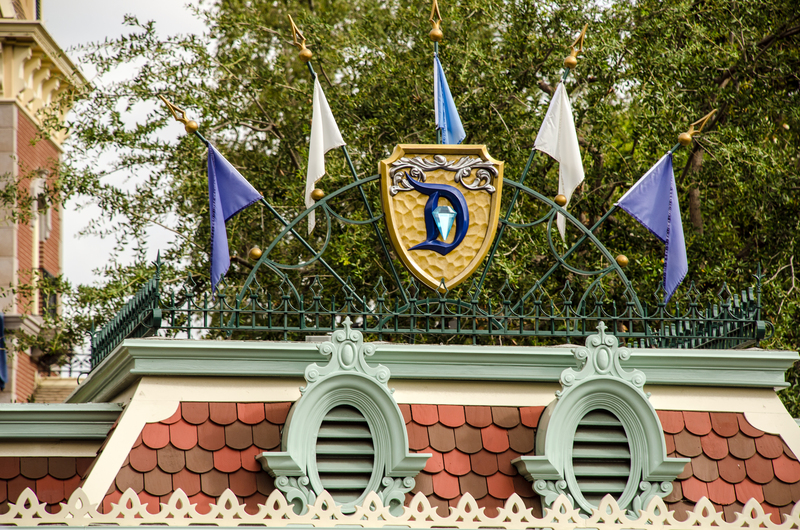 As always, if you have questions or thoughts on our Disneyland itinerary then leave a comment below. 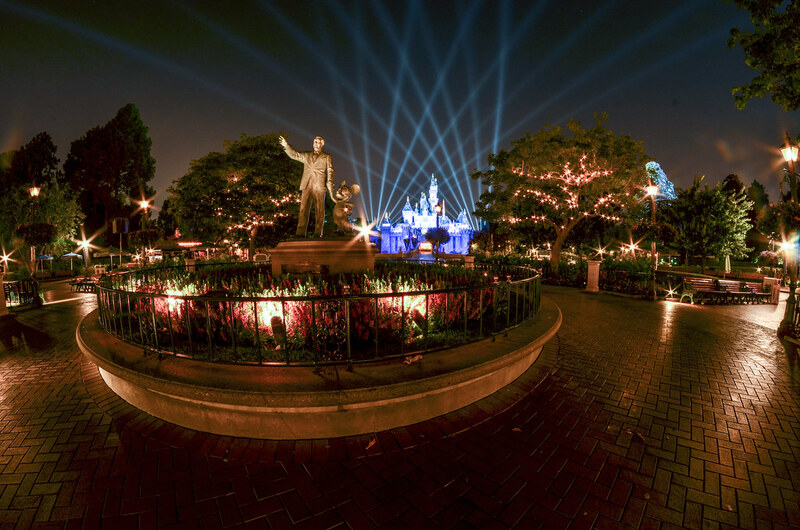 If you are planning a trip to Disneyland, then check out our planning guide. If you enjoy what you are reading here on Wandering in Disney please share this post with your friends, as well as like our social media pages. You can also subscribe to the blog via WordPress or email. You can do all of that on the right side of this page. Thank you for reading, we really appreciate it!